“Kashmir, my birthplace, has been facing political conflict for a very long time,” says Mahrukh Bashir, a TED-Ed Innovative Educator. Inspired to create a more peaceful world, she began teaching English in Indonesia — and sharing global education resources with her colleagues. (So far, she has trained more than 400 Indonesian educators in how to use TED learning tools.) Want to lead a TED-Ed professional development workshop at your school? Below, download a presentation slide deck, and check out Bashir’s workshop tips. Here’s a TED-Ed Prezi that you can use to give a short presentation about TED’s learning resources for teachers and students. These slides are designed to be easy to share during staff meetings, school workshops, education conferences — and anywhere else you want to shine. Below is another example. There are two parts to this workshop outline: Session 1 (a 30-minute introductory session) and Session 2 (a 2-hour active learning session). Teachers need both, says Bashir. However, if calendaring a block of time proves to be frustrating, then start with just the 30-minute Session 1. Slides are up to you! Objective: To introduce teachers to TED and TED-Ed resources. Watch 1 or 2 TED-Ed Lessons. Share your experiences as a TED-Ed Clubs Leader, if you have led a Club. Share your experiences using the TED-Ed Platform. Take a quick break and then come back for Session 2. Objective: To provide teachers with hands-on training and support. Help teachers create their TED-Ed accounts. Show teachers how to apply for TED-Ed Clubs. 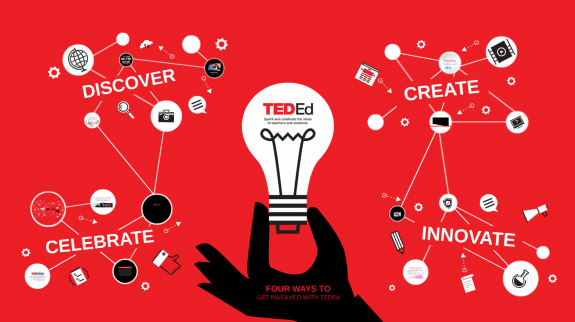 Create and customize a TED-Ed Lesson together. Discuss ways to use TED Talks + TED-Ed Lessons in the classroom. Explore how teachers can collaborate with and support each other in using TED-Ed resources. Answer last questions and wrap up. This article is part of the TED-Ed Innovation Project series, which highlights 25+ TED-Ed Innovation Projects designed by educators, for educators, with the support and guidance of the TED-Ed Innovative Educator program. You are welcome to share, duplicate and modify projects under this Creative Commons license to meet the needs of students and teachers. Art credit: Prezi/TED-Ed. Add this to the list of PDs I want to run! Thank you for laying this all out! Looking forward to using these tools. May I kindly know if the same practice can be applied to different countries please? If yes, what’s the procedure please? Thank you for the flash of inspiration. I have been traveling and teaching English as well as holding workshops for local teachers, especially in classroom management and more interactive learning. I am presently semiretired and back in my own country. I have been thinking of ways to stay involved with education on a more creative plane of existence. 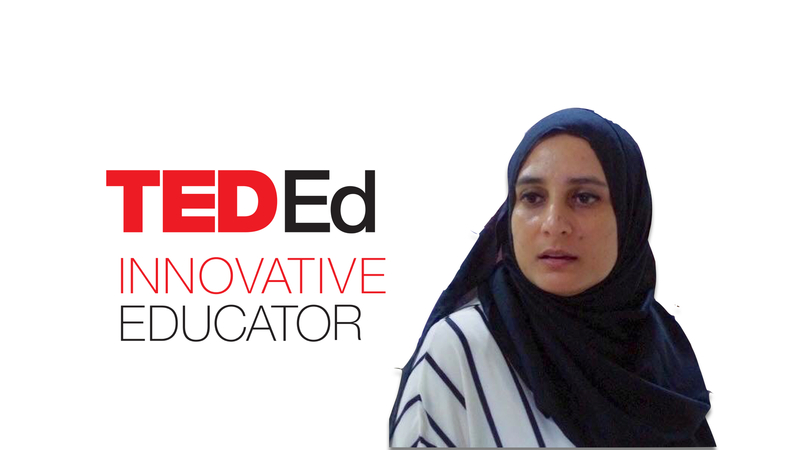 Mahrukh Bashir, a teacher in Depok, Indonesia, is a participant in the TED-Ed Innovative Educator program. If you plan on replicating a version of this innovative project in your community, let Mahrukh know!